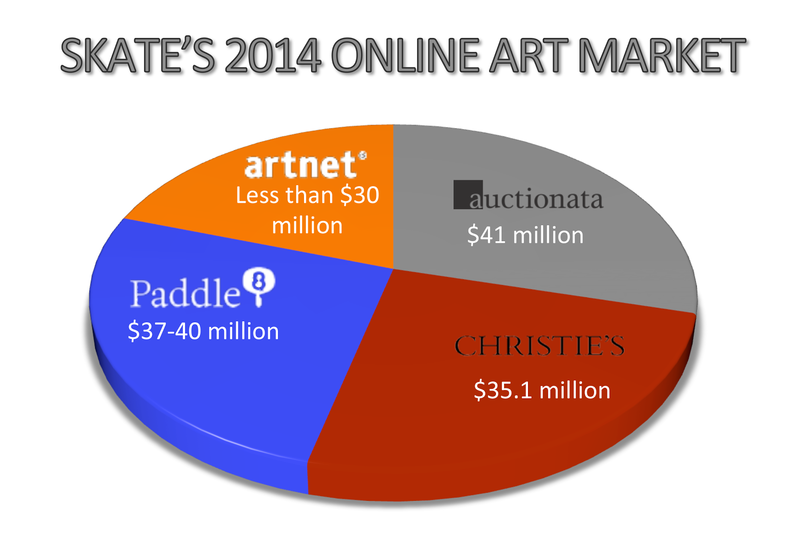 Based on recent data regarding 2014 sales released by Christie's and Auctionata, Skate's February 2015 analysis erroneously proclaims Auctionata leader of 2014 Online Art trading volume and overlooks $178 million generated by Christie's LIVE online bidders. Skate's overlooks estimates for Online Art sales volume generated by eBay and Sotheby's, yet provides estimates for artnet and Paddle8 even though published results won't be available until March. Auctionata fails to provide specifics to support the $41 million realized in 2014. Although Skate’s Art Industry News report names Auctionata as leader in online trade volume with $41 million in gross merchandise value sold, no category or location specifics are detailed in either the Auctionata press release or Skate's. In addition, no details show trading volume generated from auctions, online marketplace and appraisals for which Auctionata charges an exorbitant 2.38% appraisal fee if the user submits 6 or more items for evaluation. There is significant added value realized by online bidders at Christie's LIVE even if users aren't the successful bidder. Christie's realized $178 million from online bidders in addition to $35.1 million generated from 78 e-commerce sales, +54% vs. the prior year. Christie's e-commerce platform has introduced buyers from 69 countries with 32% new to Christie's and 42% of these buyers under the age of 45 years. 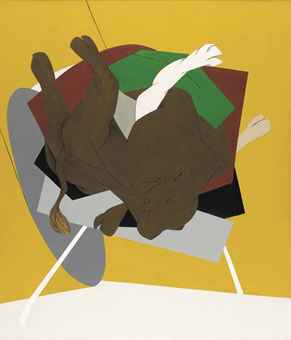 The highest priced lot via Christie’s LIVE was Tyeb Mehta’s (Untitled) Falling Bull sold for $2.8 million in the inaugural Mumbai, India sale, December 2014. How can Skate's forecast Paddle8 and artnet sales when results not public? "While Paddle8 and artnet.com AG have not yet published their results, Skate’s runs a close tally of their online auctions and expects Paddle8 to report GMV of about $37-40 million for 2014, while artnet.com is unlikely to exceed $30 million GMV for 2014". Since Paddle8 typically ends all lots simultaneously, unless Skate's has multiple personnel that carefully watch each lot, we question how Skate's determines which lots are sold vs. unsold. For instance, in the Paddle8 Perfect Match auction, 25 jewelry lots ended simultaneously at 5pm on 2/25/2015, of which 12 had one bid not meeting the reserve. Since all bids at Paddle8 are anonymous, critics question whether bids not meeting the reserve are real bids, chandelier bids or shill bids? Vendors who sell Art online should be held to the same standards as brick & mortar art sellers. Both Christie's and Sotheby's provide the same terms of guarantee whether online or off. In other words, in the event a buyer purchases a work of art incorrectly documented and/or counterfeit, for a four year period, the sale can be rescinded. The launch of Christie's e-commerce platform expands the Christie's potential buyer universe by providing a safe buying experience. By comparison, documentation errors/omissions, Authenticity issues, incorrect condition reports and surprise shipping costs and limited return policies highlight reasons users aren't rushing to buy Art Online at Auctionata, Paddle8 and Amazon/Art. Documentation of many lots offered at Paddle8 is routinely vague/limited, often without accompanying photos, since the Paddle8 never inspects lots prior to listing and relies on the consignor for lot information. What lots are excluded by the Auctionata Guarantee? Auctionata 2014 highlights boast 11 lots sold totaled €2 million, raising the question, show me the remaining €29 million ($33 million)! According to Auctionata, revenue totaled €31.5 million in 2014, but how much volume traces to each Auctionata category? Unfortunately, Auctionata fails to breakout 2014 trading volume realized by category, location and fees for appraisals, buy-ins, along with payments to its 300 Experts who receive a commission incentive should the lot be auctioned and a fixed fee for the initial appraisal based on time spent. 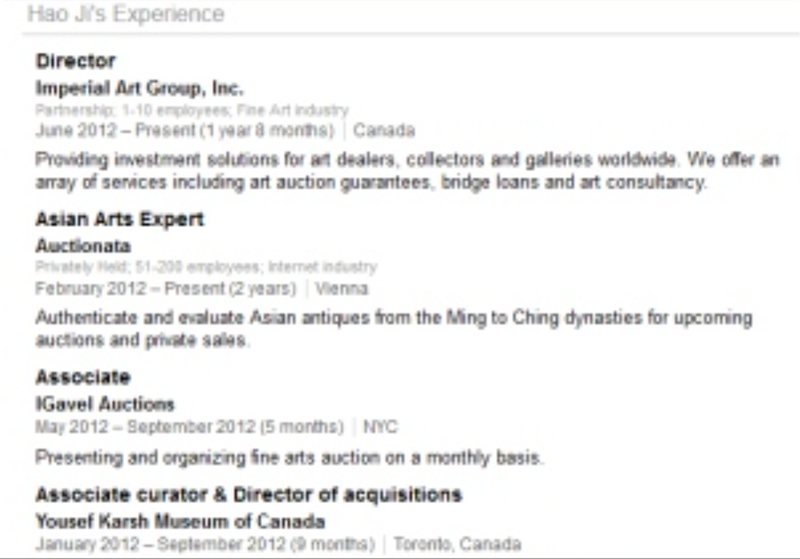 Auctionata boasts a team of 300 experts, one of these so called experts was convicted of fraud and is no longer employed by Auctionata. These experts evaluate property before lots are offered at auction or in the Auctionata online store; many Auctionata lots are misleadingly and deceptively documented, often without accurate provenance and catalog raisonne details. A frequent pattern of deception at Auctionata includes repeated reference to vague/erroneous International auction results, all without links and specificity. Or erroneous reference to catalog raisonne documentation when selling an After entirely inconsistent with the respective entry; stating a work is signed even though it bears a spurious signature; inaccurately reporting condition when the photos show significant light stain or a watch is defective. 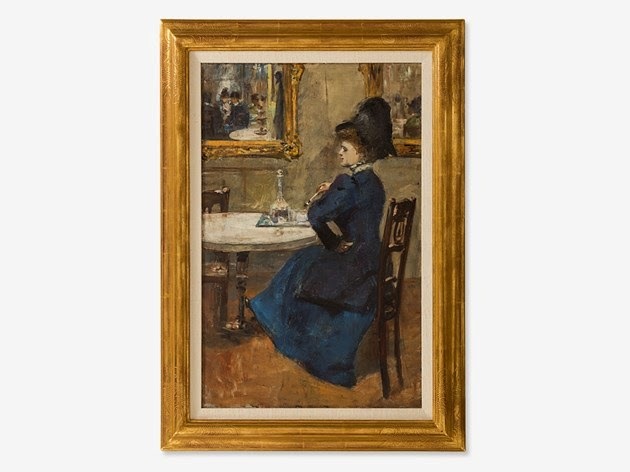 Why didn't Auctionata disclose Lesser Ury painting was previously sold twice at auction? Auctionata Search results indicate 1,323 paintings sold "recently", the highest price was $130K realized for a Lesser Ury painting. For reference, 197 paintings sold were priced below $2,000, and the majority, 975 paintings fetched under $1,000, considerably below the target price range of $5,000-$20,000. 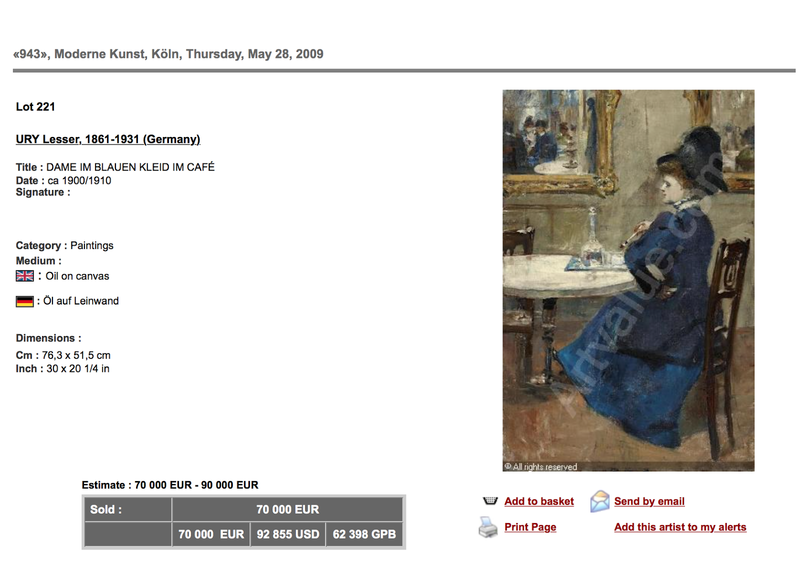 Disturbing is the blatant provenance omission since the Lesser Ury painting was sold twice at auction before it was offered at Auctionata; in 2009 for $92,855 and in 1995 for $87,470. Furthermore, provenance details in the December, 2014 lot description were absolutely incorrect as the painting was not in the same Private Collection since 1997. Why was the Auctionata Expert unable to provide accurate auction provenance history? It took this user less that 3 minutes to locate the painting's auction history. The Auctionata buyer paid $130,000 for this Lesser Fry painting and was misled, exacerbated by A Rediscovery, an Auctionata Blog Article, even though the Ury was sold and "discovered" in a 2009 auction, realizing nearly the same price fetched 14 years earlier! In addition to getting an initial fee covering time spent, each freelance Auctionata Expert receives a pro-rata commission of the highest bid for the respective lot, so skewing the results, and/or omitting certain facts is beneficial. The Auctionata Lot for the Lesser Fry sold in December, 2014, includes the following erroneous documentation concealing two prior auction results and for some reason, suggests comparable Cafe Scene paintings sell for twice what the very same painting actually sold for at auction. "Lesser Ury is known and appreciated for his street scenes and coffee house images in impressionist style, the interior scene presented here shows one of the coffee houses on Berlin's boulevard band is arguably one of his finest examples of a café scene; comparable subjects fetch up to €180,000 on the international auction market." What is the reason for this overt deception? We doubt there is a system in place to review documentation by Auctionata Experts as we have identified numerous instances of published/sold lots with multiple errors, i.e., counterfeits, condition errors, provenance errors, etc., modified facts and empty references to International auction results without specifics; that is no links, dates, photographs, etc., and most documented with inflated fantasy results like the Fry. Ironically, Auctionata states every work comes with a story, and in the case of so many works at Auctionata, it is a story that begins with deception and ends with omission. Why did the Auctionata expert not disclose Lesser Ury painting sold at least twice at auction? And bizarrely state comparable subjects fetch up to €180,000 on the International auction market? The majority of lots offered for sale on Auctionata lack documentation clarity and include either vague support or no support. Too often lots sold exclude obvious information like date of sale; sale number; lot number; vague references to comparable sales results, lacking specificity/accuracy, many without links that art professionals and collectors understand and require. MYTH 1. Art is not only a stable, but also a safe, investment. By safe I mean that afterwords, the item has appreciated in value. Art is therefore a long-term, stable and safe investment states Alexander Zacke, CEO and Auctionata founder. Unless Mr. Zacke has a crystal ball, it is irresponsible and unethical to guarantee that art is a stable and safe investment, especially since the majority of art sold on Auctionata would not be considered collectible by knowledgeable art professionals and collectors. For a considered analysis on this topic, read Art as an Investment? A Survey of Comparative Assets by Melanie Gerlis. MYTH 2. Auctionata strives to meet the demand for a trusted online auction space that protects both the seller and the buyer from fraud states Ben Hartley, International Managing Director Auctionata, and formerly President, Louise Blouin Media. Most of the so called "afters" sold by Auctionata are actually counterfeits no reputable auction house and/or art dealer would consider offering for sale, none considered safe. Most of the "afters" sold by Auctionata, shown below, include erroneous, vague reference to comparable auction results, most without links. MYTH 3. Most items sell in our auctions between $5,000 to $20,000 states Ben Hartley, International Managing Director. During 2014, Auctionata ONLY sold 193 lots priced between $5,000 to $20,000, out of a universe of 8,255 lots sold in Germany and New York, translating to just 2.3% of total lots sold. Regarding New York sales, based on the limited Search available, Auctionata sold 34 lots during 2014, of which 6 were priced between $5,000 to $20,000. 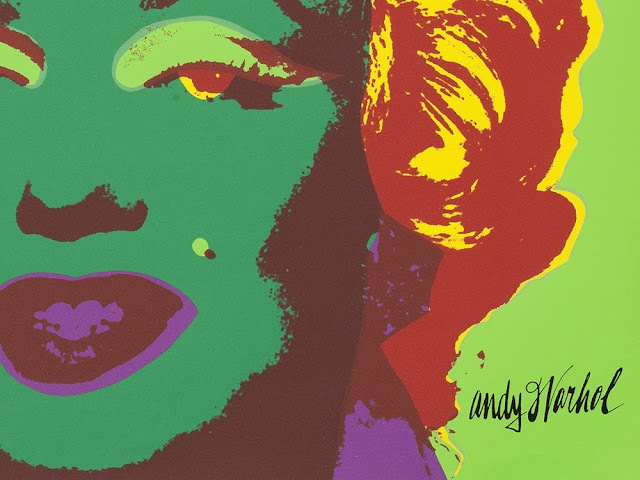 Most surprising, Auctionata sold 1,840 lots priced under $50, representing 22% of ALL lots sold in 2014, contrary to its 2/15 press release stating there is a "demand in the mid-market range for art and luxury collectibles that is not being met." In our judgment, every $50 lot sold by Auctionata has an incremental administrative cost of at least $125 per lot; to avoid unnecessary financial ruin, it behooves Auctionalta to cease selling so many low end lots under $150-$250, which will never be profitable even with almost 50% commission rate from buyer and seller. After all, Auctionata is building auction studios around the world; has a team of over 300 employees and 300 experts, etc. Full disclosure, the Auctionata Search, does not include a way to search with a custom date range; accordingly,"recently sold" was used to generate 2014 sold items. MYTH 4. 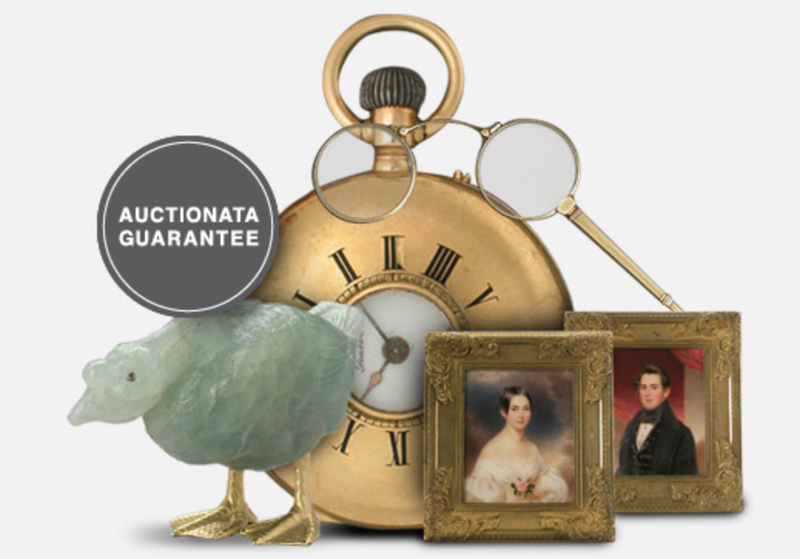 Our specialists vet and evaluate every piece sold at Auctionata.com and all purchases come with a 25 year guarantee. 10.5 Auctionata Terms of Guarantee exclusion: If an item’s catalogue description explicitly includes a caveat or restriction regarding the reliability of the information provided, then said information will not form part of the agreed characteristics. In this case, the purchaser will purchase the item at his own risk as far as the information in question is concerned. If a catalogue description explicitly refers to an item as a “copy” (e.g. as a “museum copy”), then the item in question will be deemed purchased as a copy and not as an original, thereby precluding any warranty for defects in this regard. If the catalogue description explicitly describes or designates an item as being "of doubtful authenticity", then said item will be deemed purchased not as an original but as an “item of doubtful authenticity”, thereby precluding any warranty in this regard. Inasmuch, neither the starting auction price nor the final hammer price of an item can be used to draw inferences about the actual characteristics or authenticity of that item. Section 10.5 from the Auctionata Guarantee excludes Works designated as an "after", reproduction and/or copy; at least 131 Prints sold by Auctionata during 2014 are not covered by the Auctionata guarantee. MYTH 5. It is inexpensive to sell your lots on Auctionata and getting valuations is free. The Auctionata website states "There are many advantages to selling on Auctionata that you simply won't find anywhere else. We provide access to an extensive network of International experts who will value your property." Auctionata consignors face excessive selling fees that are hardly competitive and not user friendly. Consignors should think two, three or four times before agreeing to a consignment since you can count on paying a 20% selling commission for all sold lots, either online or via its online marketplace; 2% storage fee if unsold lots are not picked up within 14 days; possible 2.5% insurance fee; shipping & handling fees; photography fees and incredibly, an appraisal fee of 2.38% + €119 if you want an appraisal of 10 or more items. Factor in buyers fee and most lots have a commission rate yielding Auctionata a commission of 45%-50%. And don't even think about paying late which means that unless payment is received within 7 days, you are faced with 16% per annum late charge. Have second thoughts about an Auctionata consignment and confront 25% penalty of the mean estimate for each consigned item removed. The moral is proceed with caution before you sign ANY Auctionata consignment contract.